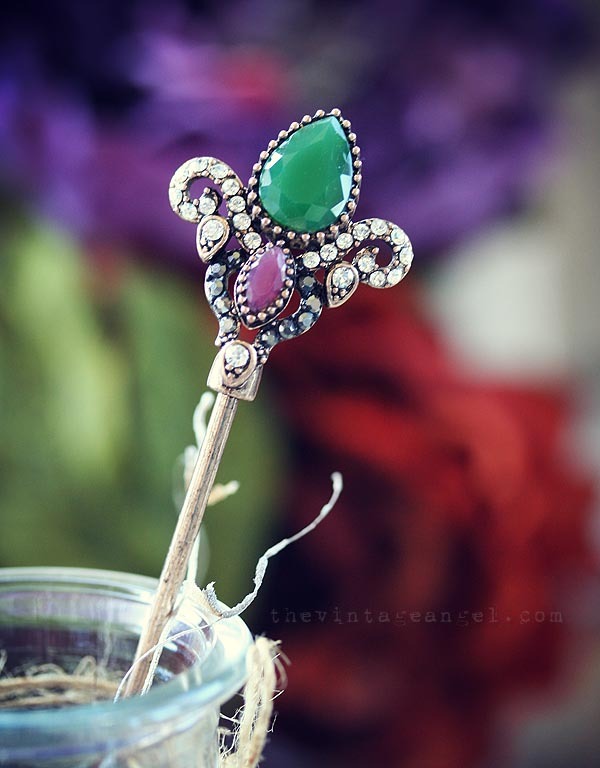 This amazing hair stick features an elaborate crystal and resin gemstone design in a Victorian style. The overall size is approximately 6" long by 1" wide. 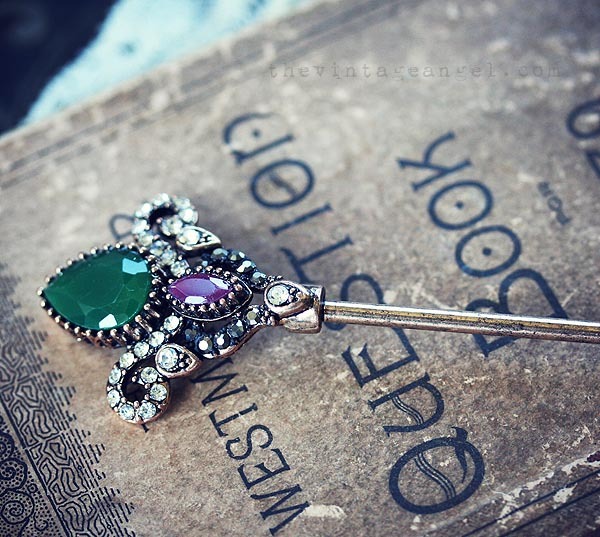 The color scheme on this piece is a rich garden green with vintage rose accent and clear and black crystal detailing. 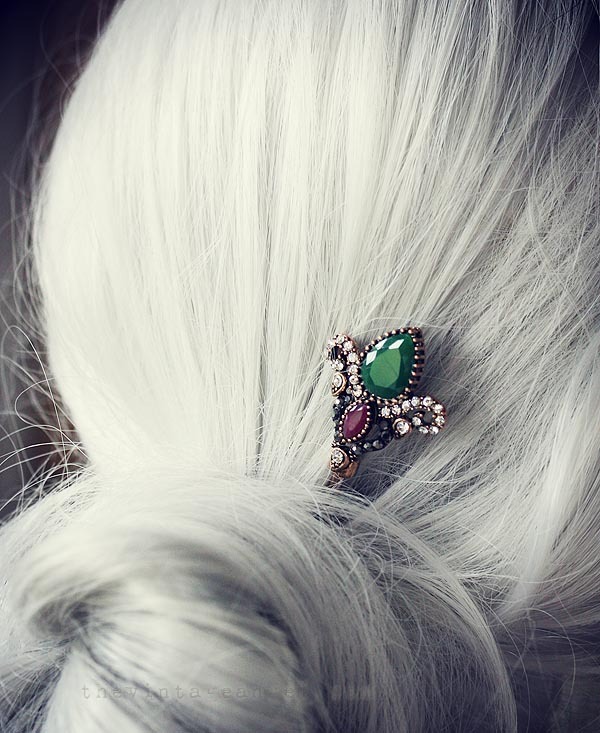 Simply poke into a bun, up do or French twist for an easy and unique hair accent.